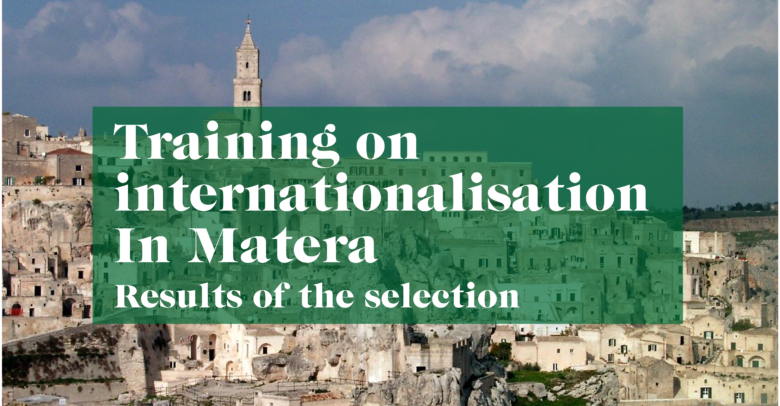 After a very difficult selection, with over 300 users registered on our platform and 150 applications, we are finally able to announce the list of artists, creative entrepreneurs and intermediaries selected to take part in the training week of Matera, Italy from 28th January to 3rd of February 2018. For those of you who have not been selected, we invite you to follow our social networks and website since we are planning to launch the online learning environment on our platform where you will be able to find many of the tools we will use in Matera. Furthermore, partners are planning to organize local workshops to replicate the training at national level so thank you very much for the interest showed and stay in touch! For the selected participants more info to come soon from national partners. See you all in Matera!